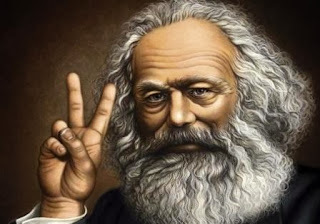 So it would seem to me that Karl Marx might prove to have been right in his contention that crises become more and more destructive as the capitalistic system matures (and as the “financial economy” referred to earlier grows like a cancer) and that the ultimate breakdown will occur in a final crisis that will be so disastrous as to set fire to the framework of our capitalistic society. Not so, Bernanke and co. argue, since central banks can print an unlimited amount of money and take extraordinary measures, which, by intervening directly in the markets, support asset prices such as bonds, equities and homes, and therefore avoid economic downturns, especially deflationary ones. There is some truth in this. If a central bank prints a sufficient quantity of money and is prepared to extend an unlimited amount of credit, then deflation in the domestic price level can easily be avoided, but at a considerable cost. We are going to ride this pony until she snaps. Then we will pick it up and carry it for a bit.